The House of Life is in big trouble, bigger trouble than before. Apophis, the god of chaos is starting to rise. He plans to destroy not only the House of Life but the world as we know it. Carter and Sadie Kane, House of Life magicians, walk the path of the gods and this has caused them many problems including a rift within the house itself. The house is divided but they can’t deal with the infighting because they have to do the seemingly impossible – defeat Apophis. They think they know of a spell but it is ancient, untried and very dangerous. If they use it, it could very well cost them their lives. This battle has already cost them so much, but they can’t give up. It is not in their nature. This is the conclusion to the Kane Chronicles. It is a series that grows on you. 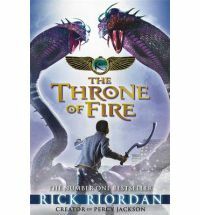 It is fast paced and action packed The action though is different to that from the Percy Jackson world because in this one the battle is magic based. Carter and Sadie are great leading characters. The sibling clash of styles and jibing each other brings a level of humour but also makes their relationship relatable and in doing this makes the whole thing more vivid. Carter has a natural leadership that is tempered by age and doubts. Sadie with her strong nature and cheeky rebellious spirit balances out Carter’s serious streak. Other characters fill out this wonderful story. Walt especially is great, tormented by his curse you really want there to be a get out of jail free card for him. The return of Bes was a pleasure as he is one of my favourite gods. The integration of the gods, the dust and the modern world appears seamless. The other nice touch is the awkwardness of the relationships – Sadie with Walt and Anubis, Carter and Zia, this gives the battle side of the story a good balance that adds a nice slice of humanity. I really enjoyed this series. It’s style is different to Percy but is still very engaging. 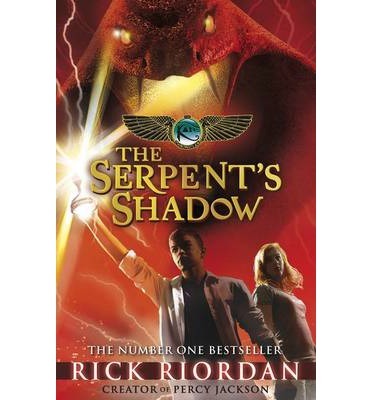 A definite must if the reader has an interest in Egyptian mythology. Just for a little fun I thought I’d post these. The final book in the Kane Chronicles. Look what I found today, it was wasn’t there when last I looked, the cover art for the new Kane Chronicles book and a link to the first chapter. Looking forward to this much…why yes I am. Another museum is filled with chaos as Sadie and Carter Kane along with two of their trainees attempt to retrieve the Book of Ra. Since their victory at the Red pyramid the Kane’s have been learning and teaching the young magicians who responded to their call. The House of Life magicians still want to kill them. Carter can’t find Zia and now Apophis, the god of chaos is rising. With five days until the end of the world Sadie and Carter set out on a quest to retrieve the other pieces of the book which is needed to bring back Ra in the hope his rebirth will bring balance and total chaos will be averted. Sounds simple enough but not all gods and goddesses are happy with this plan. The siblings find themselves attacked by baboon and vulture gods, adopted by a griffin, assisted by the very strange Bes – god of the dwarves, as well as being hounded by magicians from the House of Life. As the clock ticks down new enemies emerge, dangerous games and double crosses are bought to light, relationships and will-power are tested and success could hinge on the outcome of a game. This book is an absolutely cracking read not to mention a crash course in Egyptology. The action is well balanced with chaos and humour. Carter and Sadie are wonderfully crafted characters who are great foils for each other, they epitomise the love/embarrassed/frustrated relationships of siblings. Bes is a delightful character and an entertaining counterpoint to the power hungry, conniving other gods. There is the welcome return of familiar faces and the pleasing addition of some new ones. Riordan has created a story that draws you in and rips you around on a virtual roller-coaster ride. 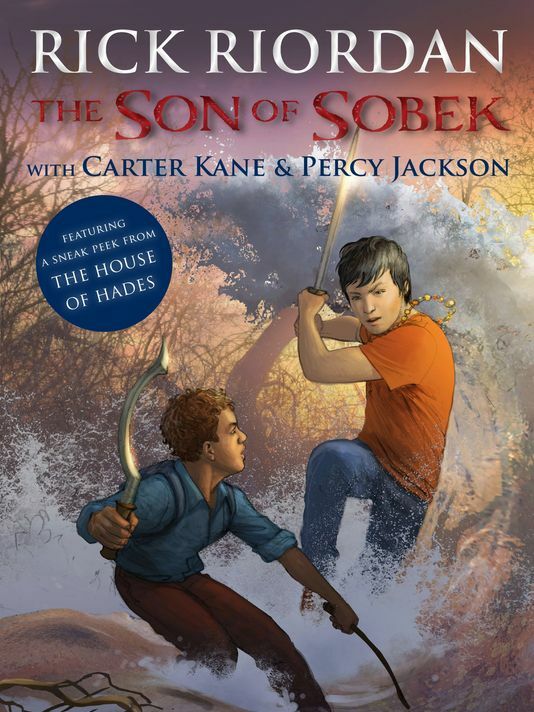 There is just one problem and that is there is another 12 months until the next installment, fortunately the wait is half that for the next Heroes of Olympus. Carter and Sadie Kane have spent most of the time apart, living two very different lives. Carter lives and travels with their Dad, a brilliant Egyptologist. Sadie lives with their grandparents on their mother’s side. Their father takes them for a private viewing at the British Museum, not a thrilling way to spend the little time they all have together, but he doesn’t tell them that he is up to something. Then an explosion shatters the ancient Rosetta Stone unleashing Set, the evil god of chaos and trapping their father in a golden coffin. Carter and Sadie are forced to run for their lives. Their Uncle Amos starts them on a terrifying quest to save their father’s life. The quest takes them from London to New York, Cairo to Paris and the American south-west. Along the way they learn about the family’s connection to the House of Life, an ancient Egyptian temple of magic. They learn how they are connected to the gods, get help from unexpected sources like Bast – goddess of the cats, and uncover a plot with consequences more devastating than never seeing their father again. 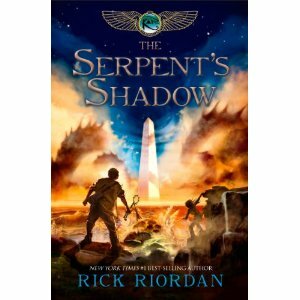 Egypt in the modern world, Riordan has done here for Egyptian mythology what he has done for Greek mythology with the Percy Jackson series. There is plenty of action, though the focus is more magic than straight out battle. The relationship between the gods and humans is very different to the one from the Percy Jackson books, though comparisons would be expected. Riordan has created a layered and interesting read, that moves at a cracking pace. Using the alternating perspectives of Carter and Sadie to tell the story gives it two strong voices. There is a wonderful sibling dynamic between the two central characters that offsets the seriousness of the situation they find themselves in. Another wonderfully entertaining read.